I have just visited my new favorite European city for the first time. 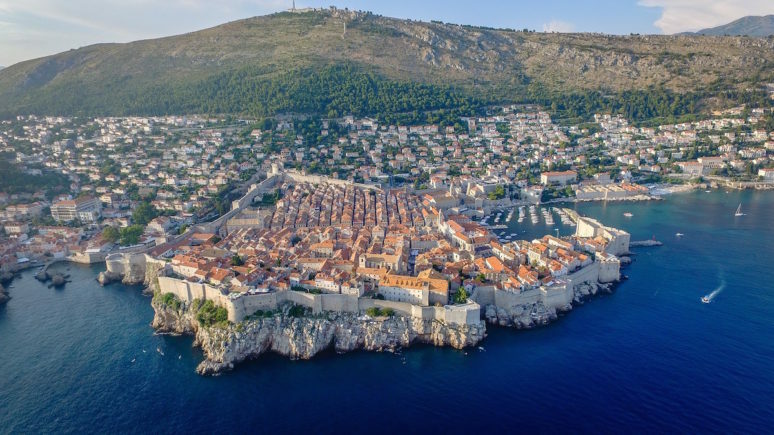 To be perfectly honest, I didn’t know it existed until three months ago when we starting looking at cities to visit along the Dalmatian Coast. 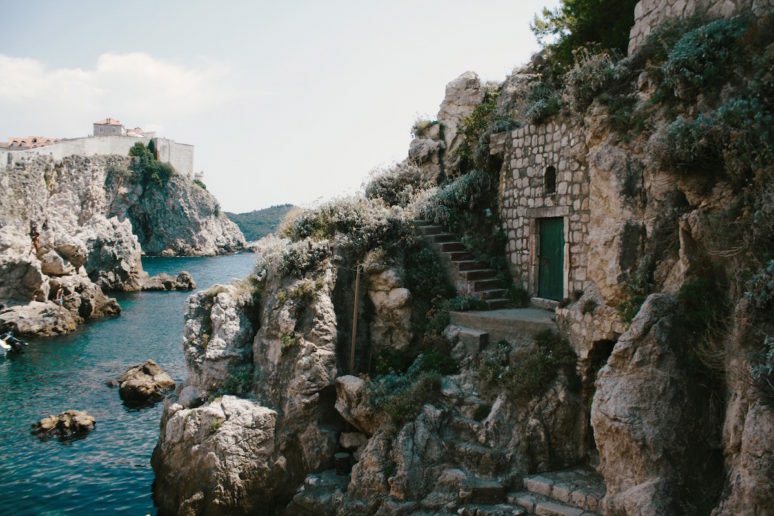 The moment we rounded the bend along the coastal road from Montenegro, it was clear why Game of Thrones had picked Dubrovnik as King’s Landing. 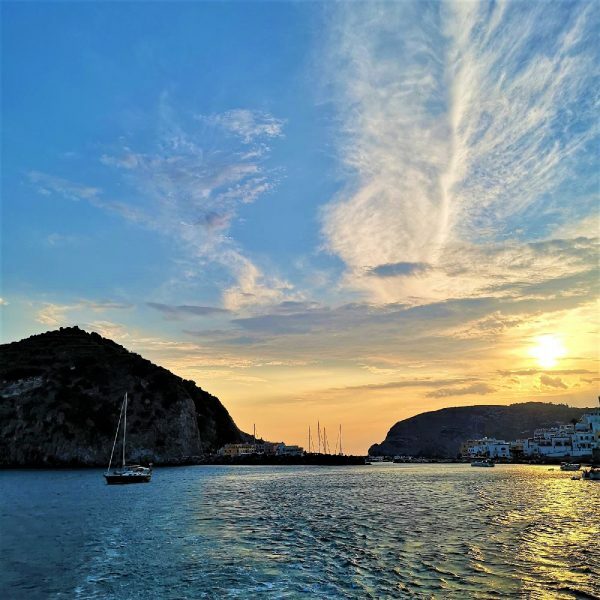 The city juts into the sea surrounded by ancient walls dating back to the 7th century. 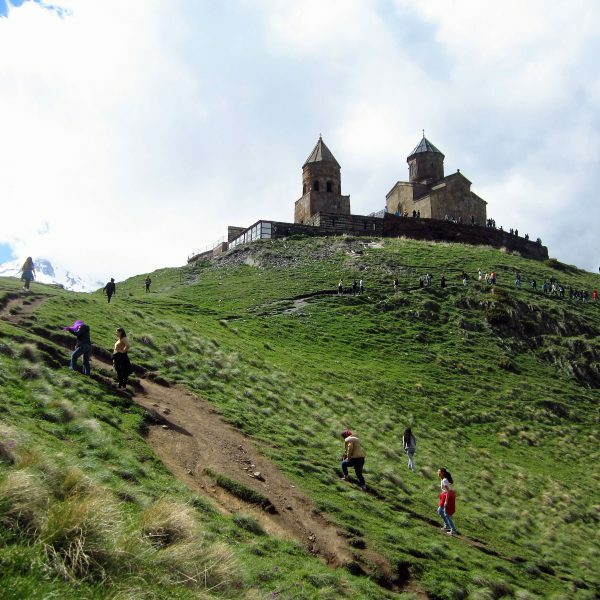 This fortified city has always been a refuge at a crossroads of civilizations and cultures. After a devastating earthquake in the 1600’s much of the city had to be reconstructed in the baroque style that still stands today. 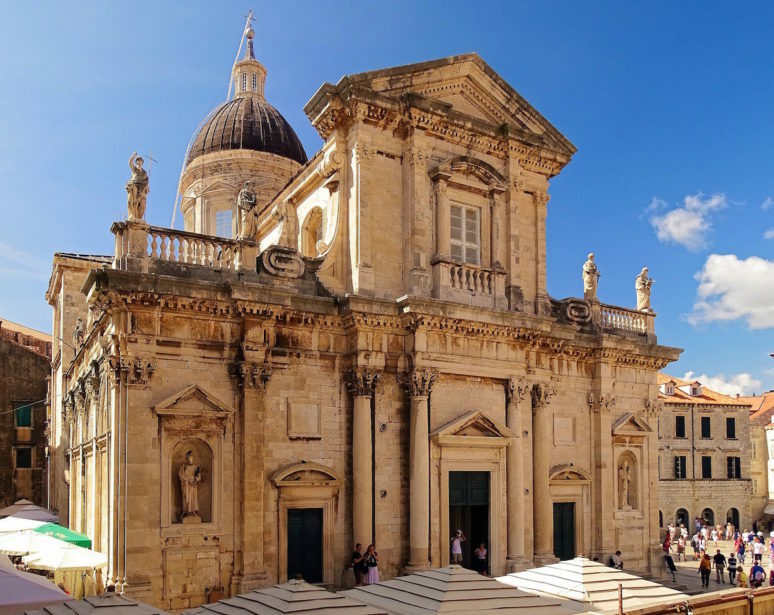 The city flourished off of maritime trade with influence beyond the waters of Adriatic Sea until the decline of the Mediterranean as a trading hub in the 1700’s. For more Dubrovnik history see here. Airbnb hooked us up all along the Dalmatian Coast. 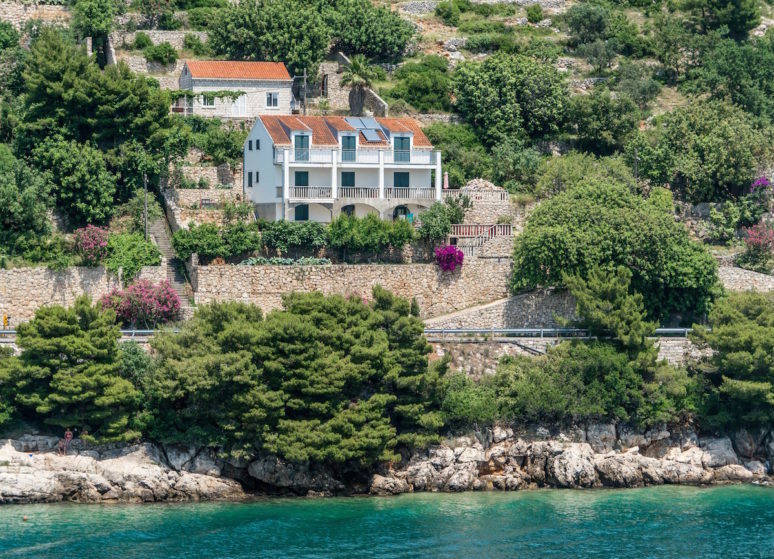 On the Island of Hvar, we stayed in a stone cottage with a pool overlooking the Adriatic Sea. At the Bay of Kotor, we stayed in a house along the bay with a dock jutting into the water. 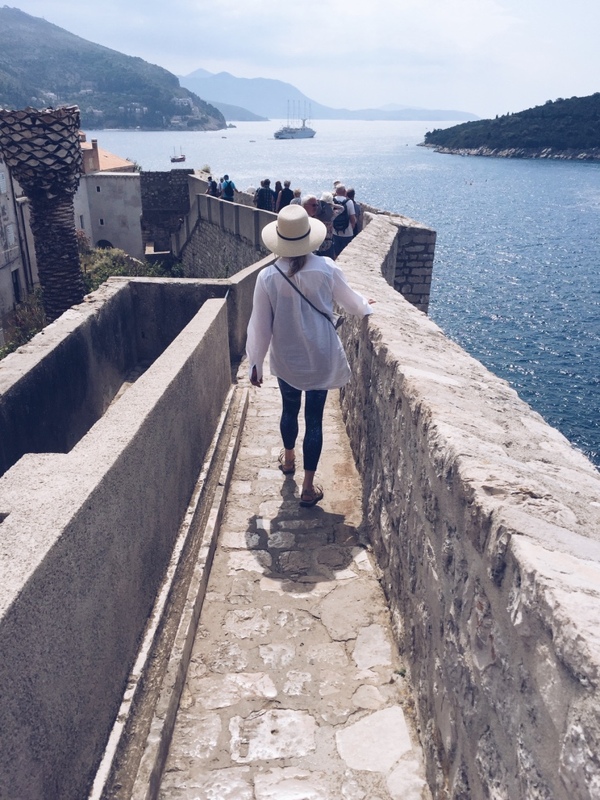 In Dubrovnik, we stayed in a house outside the Old Town, but only a 10-minute walk to the city gates. 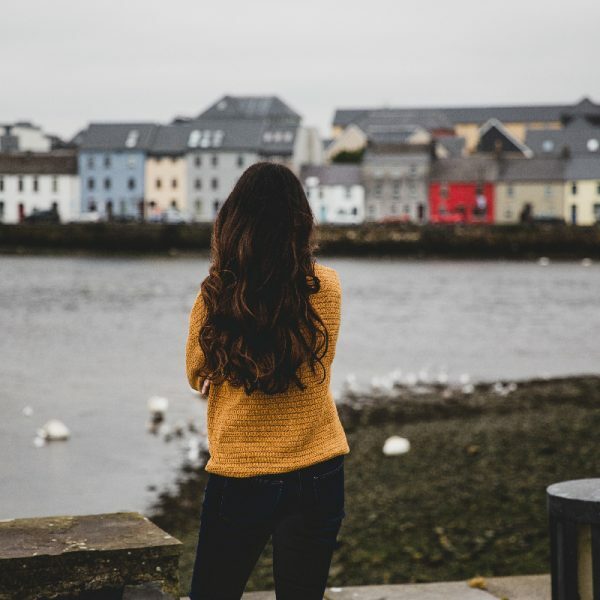 We booked our trip a little late and there weren’t any accommodation options in Old Town for a group our size, but if you book enough in advance you should find plenty of options. Our Airbnb host recommended for us to dine at the Taj Mahal . She said the restaurant was small, tucked in a back alleyway. Just what we were looking for. And who doesn’t love Indian? We were mistaken on the restaurant serving Indian cuisine, but we did not make a mistake on our dinner selection for that evening. The Taj Mahal was actually Bosnian cuisine, which, if I had known, would have been a turn off. But we didn’t know until we were looking at the menu. I must confess, it was the best meal we had on our 10-day tour of the Dalmatian Coast. The cream sauces, warm pita bread, and sausages wrapped in cheese called us back for lunch the next day. Yes, we went twice. I run from tourist attractions like the plague. I like quiet and out of the way. Small cafes, little shops, and conversations with locals. We found the perfect small beach tucked around the city wall. After hobbling over a few rocks, we found a place away from the crowds that we could dive into the sea and then dry off in the sun while watching the cruise ships drift by. My husband found a city basketball court in Old Town with an epic view of the city and shot hoops with some locals. 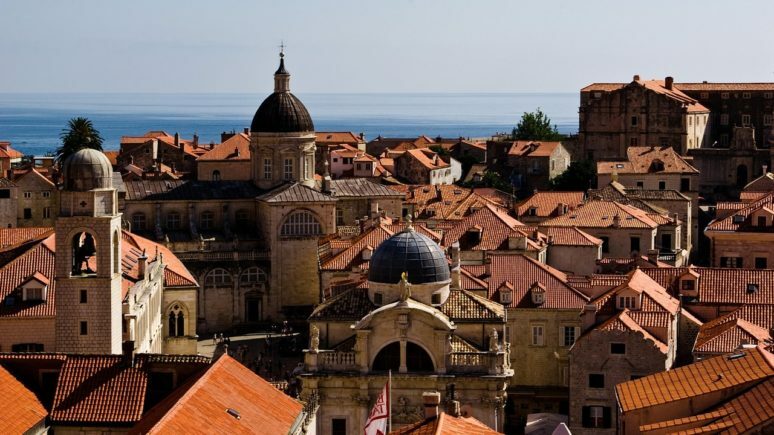 Click here for more Like A local Tips of Dubrovnik. Walking the wall is one of those attractions that you can’t miss. First thing in the morning or around sunset are the best times to go if you are worried about the heat. The wall is open from 8am to 6pm. When were there, 5pm seemed to be less busy than 8am. When you walk the wall be sure to leave time to stop for a drink at one of outdoor cafes on the city wall. You will find fresh-squeezed orange juice, macchiatos, and cocktails. And I almost forgot about the gelato stands at every turn in the city as well as a few lining the walk of the city walls. The perfect pick-me-up for an afternoon stroll along the wall. Wear your walking shoes and enjoy the amazing views of the city and sea around every corner. 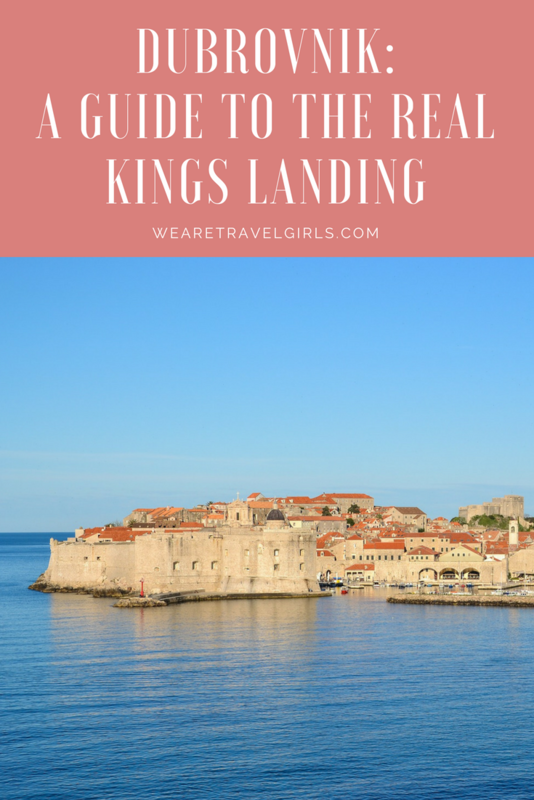 There are a few Game of Thrones tours you can take, but I just looked up a few of the highlights for exploring “Kings Landing” and guided myself. The steps where they filmed the walk of the shame was by far the best part of my self-guided tour. Get your picture and pick up a cocktail-to-go at the window shop at the base of the steps. We loved the cliff bars outside the city walls along the ocean. There are two Buža I & Buža II. Buza II is the one that we went to because there are canopies for shade and easier to find just past the steps of shame. Up the steps and past an old church toward the city wall, a few more flights and around a corner there is door in the city wall. I wish there was some secret password to enter, but unfortunately it was full of people that had the same idea of coming there for sunset. We didn’t have a problem getting seated with our group of 6. They don’t have proper cocktails, but beer and wine did the trick as we watched the sun say goodbye to a perfect day. That evening we headed to a restaurant called Above 5. 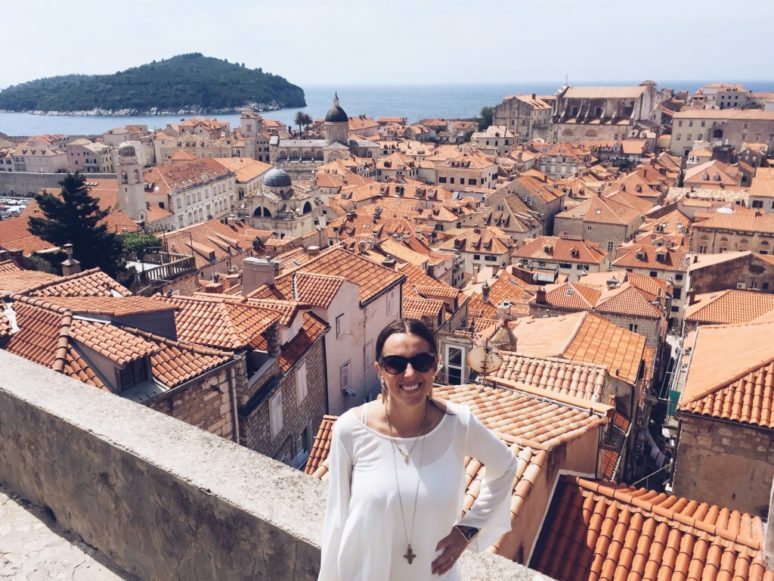 The restaurant is set in Old Town and sits on top of a hotel called Hotel Stari Grad overlooking the city. The setting is intimate with space for only 20 guests. The menu offers only the finest cuts of meat and seafood. I had the lobster pasta which did not disappoint. Right before the dessert came, the rains came, setting the mood with a lightening show in the distance. 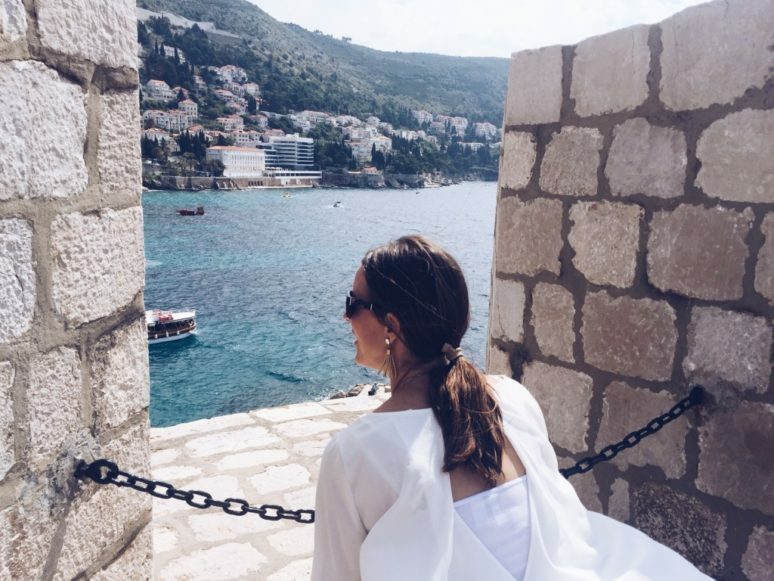 If you are wondering the best time of year to visit Dubrovnik, we traveled to Dubrovnik in May during the shoulder season. In the mornings when the cruise ships docked, the city was flooded with tours, cameras and fanny packs. By the afternoon, the city had calmed down. 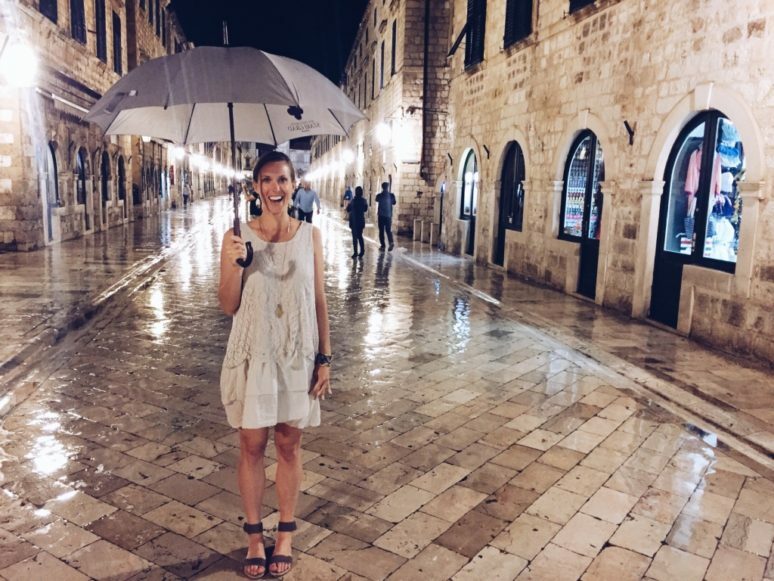 I would not recommend Dubrovnik in the middle of summer. I haven’t been there in the middle of summer, but I can imagine that crowds are overwhelming for this small coastal city. Apparently, in the winter the restaurants and hotels are closed. 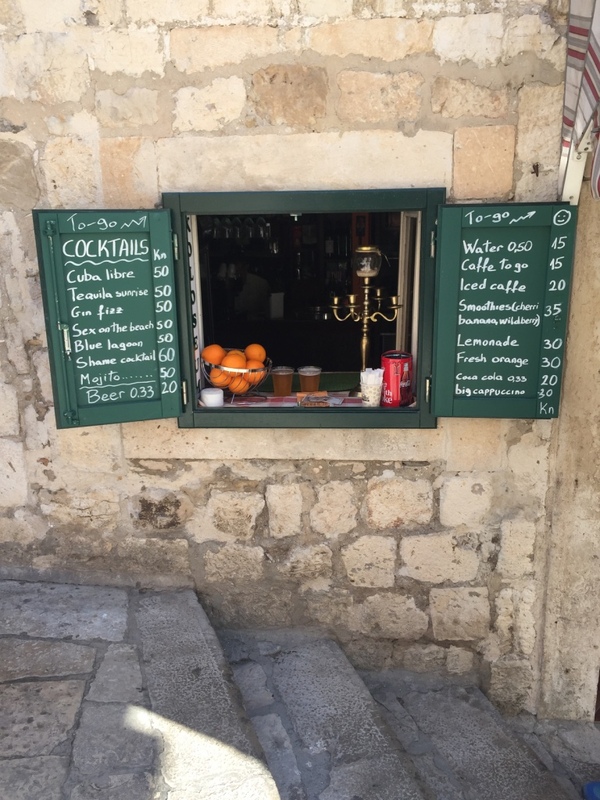 But one waiter told us that December is becoming a more popular time to travel to Dubrovnik. I would love to see the city all dressed for holidays. I didn’t realise Croatia was so pretty. People have mentioned it to me but its the first time I’ve properly looked at photos. A great post! You need to visit! It is amazing. I really want to go back because there was a lot of the region we didnt get to see.